Like many bakers, my love of baking began as a little girl. 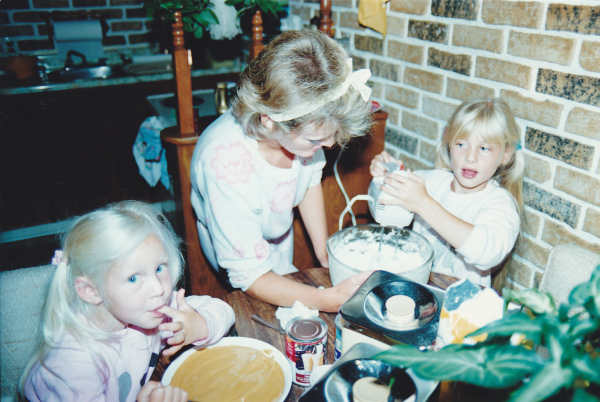 I have so many fond memories of making cookies and cakes with my mom and sister. I was a high school math teacher for several years before going on maternity leave with my son. For his first birthday cake I wanted to try working with fondant. The cake turned out great and I discovered that I really loved cake decorating! Beginning in August 2014, I started making custom cakes for family and friends whenever I had the opportunity. Solving a math problem requires process and attention to detail, just like decorating a cake! I love sharing my edible art with friends, family, and neighbours! I am a self-taught decorator who enjoys taking on new challenges, trying new techniques, and having the opportunity to bring ideas to life. I am passionate about baking and decorating, and will provide you with a quality product that will be the focal point of your celebration! NOTE: I am now CLOSED for business due to my family relocating. A sincere thank you to all of my valued customers. Above: That's me on the right along with my mom and sister!